Known as the healing lake, Lake Bogoria springs from therapeutic hot geysers. At least 18 geysers supply the lake, more than any other lake in Africa. The lake is saline and alkaline and lies in a volcanic region of the Great Rift Valley. Attracting large numbers of lesser flamingos, Lake Bogoria is a good place for bird watching. Lake Baringo is one of the only two freshwater lakes in Kenya’s section of the Great Rift Valley, together with Lake Naivasha. Around 500 species of birds have been recorded here, including noteworthy and rare species of water bird. Hippos and Nile crocodiles live in its waters, as well as other amphibians and reptiles. Seven freshwater fish species live here, including one that is endemic to the lake. The lake was formed by shifts in subterranean plates between the Tugen Hills and the Laikipia Escarpment, and now stretches gleaming between the two ridges. Boat trips, bird watching, fishing and game walks are all on offer here. Visitors can stay on two of the islands in the lake, or at several locations around the shores. 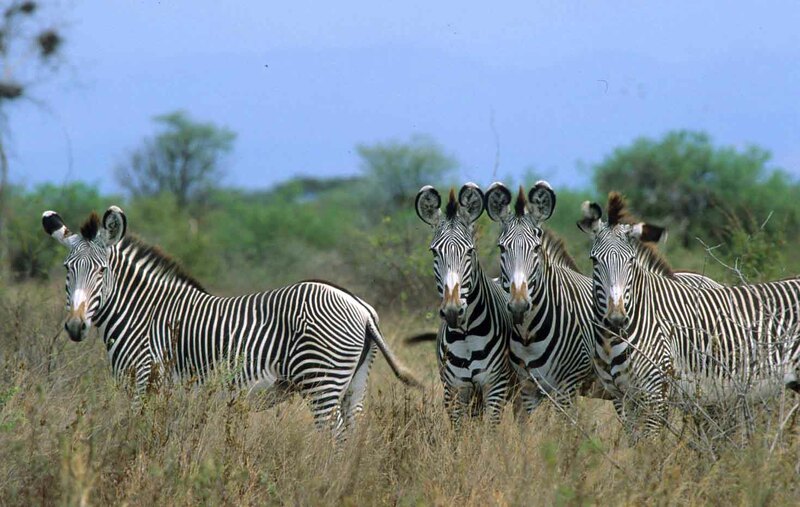 Ruko Community Wildlife Sanctuary, on the northeast shores of the lake, is a unique collaboration between the previously warring Pokot and Njemps tribes. The community translocates animals from other parts of Kenya to the new conservancy, with the intention of making a safe and sustainable wildlife habitat with healthy populations of a number of species. Buffalo, zebra, ostrich, serval cat amongst others now live here; six rare Rothschild giraffe are the most recent new arrivals.